In Sikhism, it is stressed that without strict ethical purity of conduct, there is no possibility of any advance in the religious experience. A religious life not strictly grounded in ethical conduct, or a religious discipline which ignores the ethical requirements, is considered a great error in Sikhism. Sikh spirituality is centred around a need to understand and experience God, and eventually become one with Waheguru (God). That is, to attain mukti (liberation from birth, death and rebirth) "through the grace of God". Sikhs believe that humans relate to God through meditation. They believe the human soul is in essence divine, and inherently good. According to Sikhs, a spark of the Divine Light resides in each human soul, but it is covered by layers of human weaknesses and faults. From left: Golden temple, Amritsar; Inner Sanctum of the Golden Temple; Gurdwara Hemkunt Sahib, Uttaranchal Pradesh, India. The challenge put to Sikhs is to follow the Gurus teachings and peel back the layers to reveal their light. This is done through living by pure love, or Bhakti. By loving humans purely, Sikhs can look at themselves less and reveal their light more, thereby growing into a more intense love for the Divine. Sikhism is derived from the word sikh, meaning a disciple adhering to Guru Nanaks call. Sikhism claims that it is not a syncretic religion (i.e. created by the merger of Hinduism and Islam), but that it is a direct revelation from Waheguru (God). This issue was actually addressed during the first moments of Sikhisms life, in Guru Nanaks words, There is no Hindu, there is no Muslim. 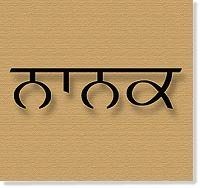 While sharing some common concepts like the law of karma and strict monotheism, Sikhism does contain many unique postulates and principles that are quite different from both Hinduism and Islam, respectively. It also has the rare distinction of the revealed Word (Shabad) being recorded by the hand of the Master. The founder of Sikhism, Guru Nanak Dev, was born in Punjab in 1469. He was succeeded by nine Masters, ending with Guru Gobind Singh, who gave a distinct identity to the Sikhs and revealed the order of the Khalsa (Pure Ones) in 1699, exactly 200 years after Nanak started his mission. Gobind Singh prepared the final compilation of the teachings of the Gurus and numerous saints into the Granth Sahib. Just before his death in 1708, he decreed the Guru Granth Sahib as the eternal spiritual Guide and vested the Guruship in the congregation of the Khalsa for temporal matters. There are about 23 million Sikh adherents around the world; 80 percent of whom live in India. Uncut hair is a distinguishing feature of Sikhs. From left: Gurdwara Baba Nanak, Baghdad; A Sikh wearing his articles of faith; Community service at the Langar (free kitchen).